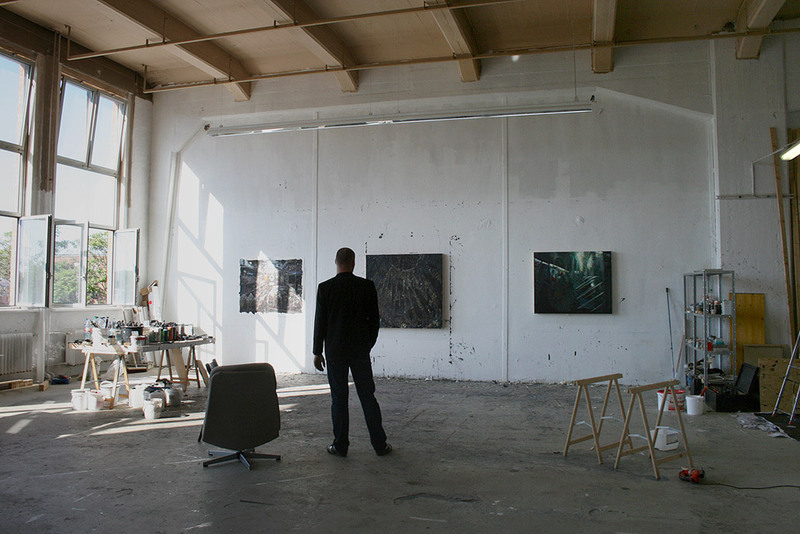 In my fantasies I have a giant studio in Berlin . And I speak German and everything. the sun is shining through open windows.. Note those polished floors! Yeah I spend most of my day cleaning those. And the fantastic lighting - too bad it's only good until about 11 in the morning. Still it has a sink (far left) and central heating. Actually it's a bit like trying to work in someone's lounge. Drop sheets everywhere (even on the walls) and no cupboard space! Last edited by CAP on Sat Apr 14, 2012 1:14 pm, edited 3 times in total. Heavy hitting Gallerists like Zwirner and Gagosian are certainly giving that impression.